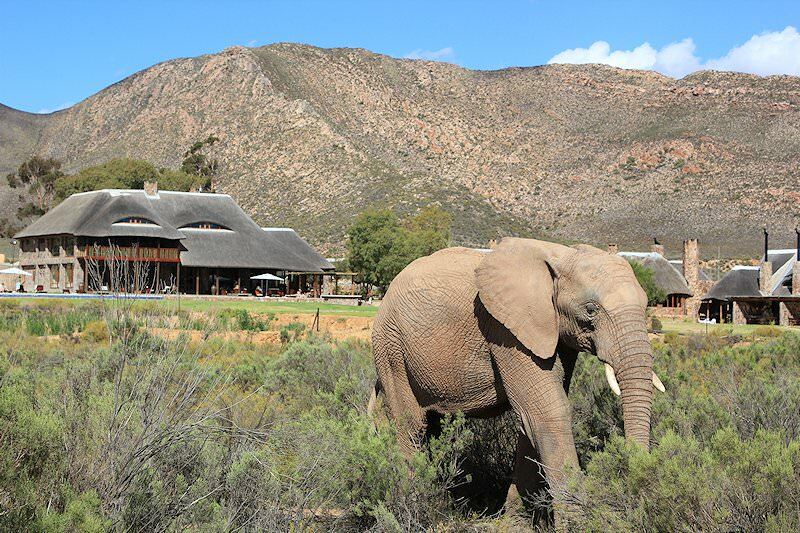 Aquila Safari Lodge provides Big Five safaris in a part of the Little Karoo near Cape Town. 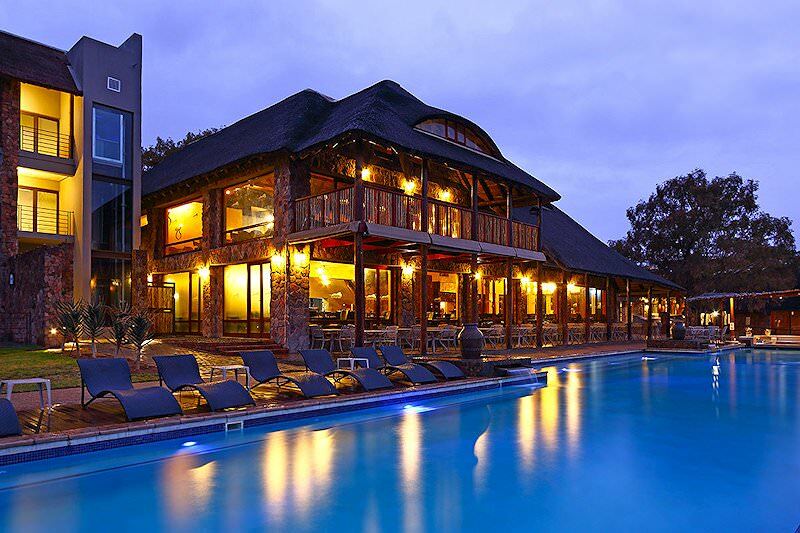 Aquila Safari Lodge has a four star rating. 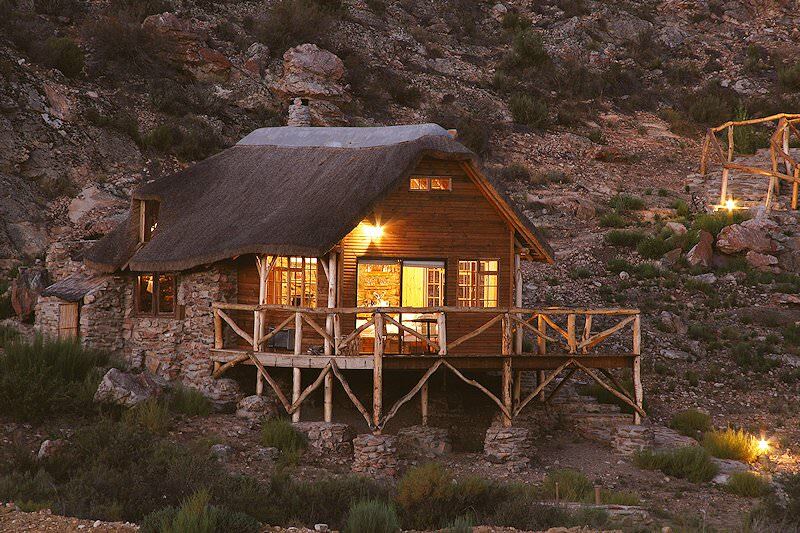 The lodge is located on a private game reserve tucked away in the beautiful Little Karoo's southern mountain region. 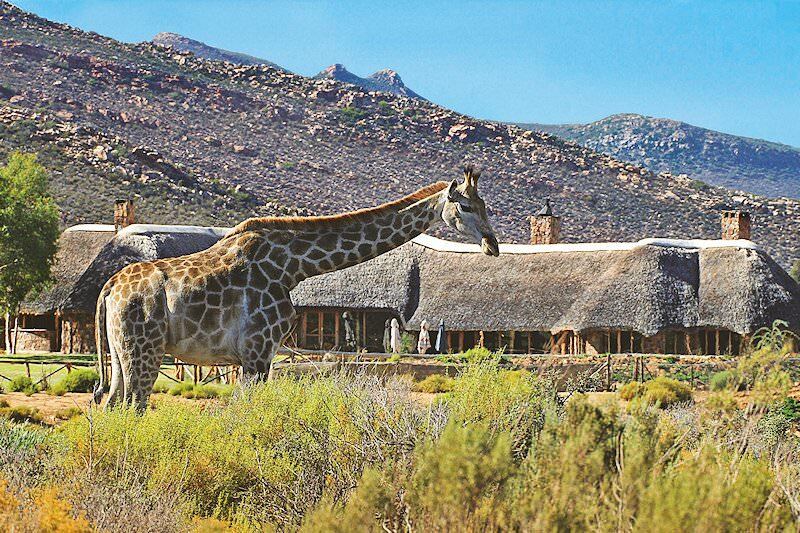 Aquila is only two hours' drive from Cape Town, providing the ideal opportunity to combine a safari with a tour of the city. 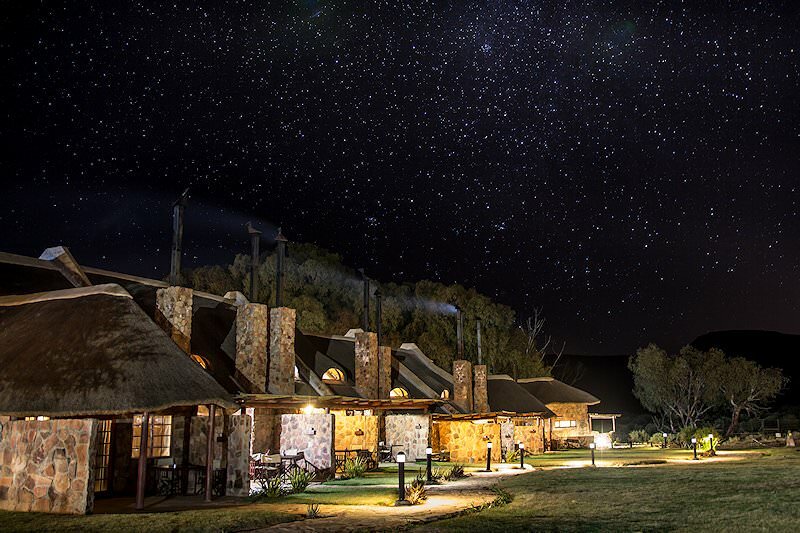 The lodge is named after the Black Eagle, an endangered species that breeds in the area. 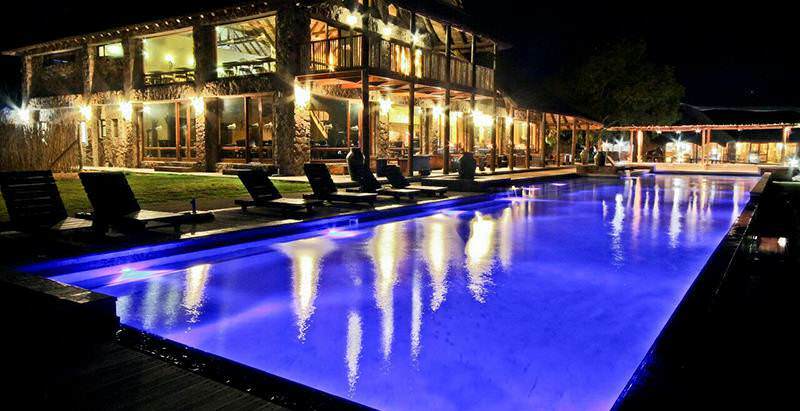 The reserve is a 7 500 hectare conservancy that is home to the Big Five. 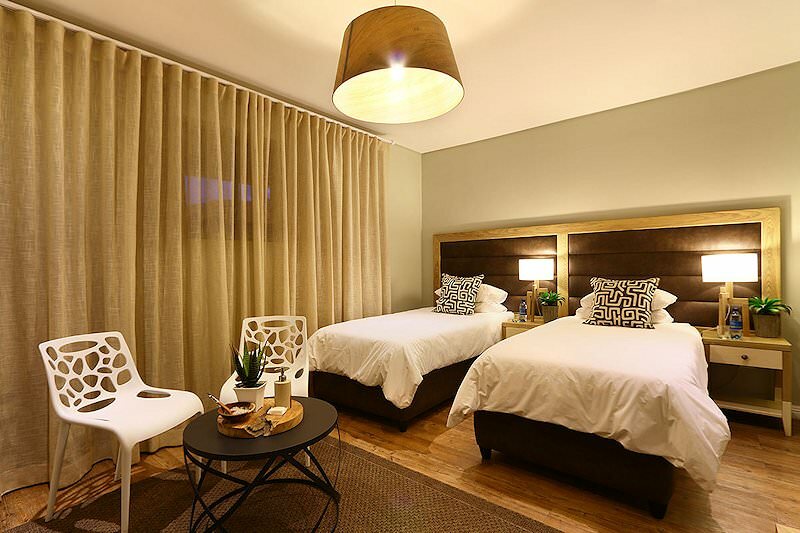 Accommodation at Aquila Safari Lodge consists of fully-equipped luxury chalets with all the amenities guests can expect from a quality lodge. Being located on an eco-friendly reserve, the structures have been architecturally designed and styled to complement the natural surroundings. 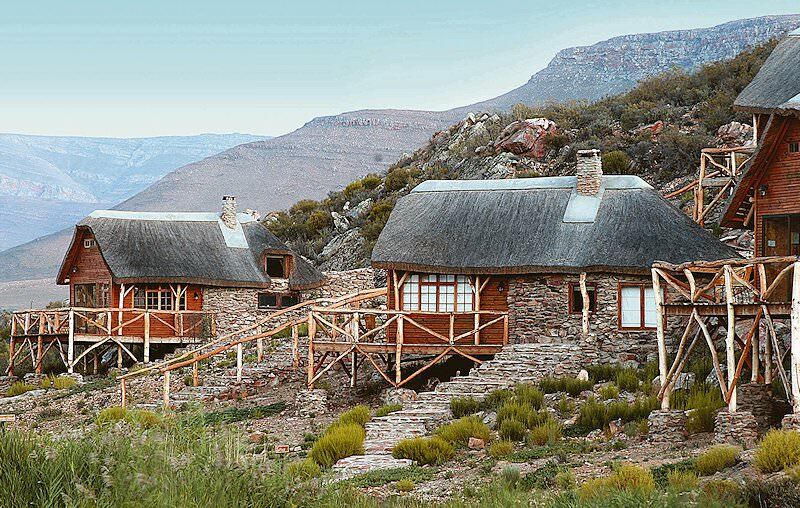 Thatch, slate and rock have been incorporated in the construction to enhance the natural ambiance. All chalets offer tea- and coffee-making facilities, a mini bar, a fan and air-conditioning. The chalets also have their own patios, built with privacy in mind. 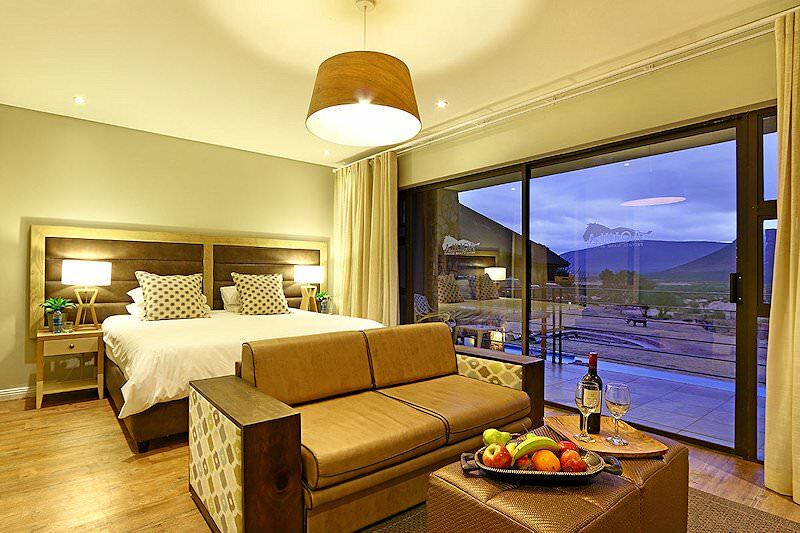 The honeymoon suite is fitted with a Jacuzzi, offering panoramic sweeps of the reserve. 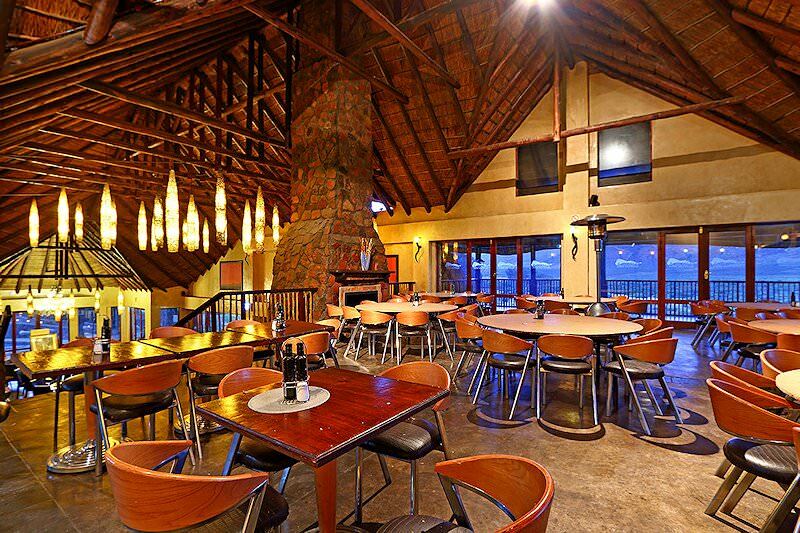 A boma-style restaurant and cigar bar are also located on the premises. 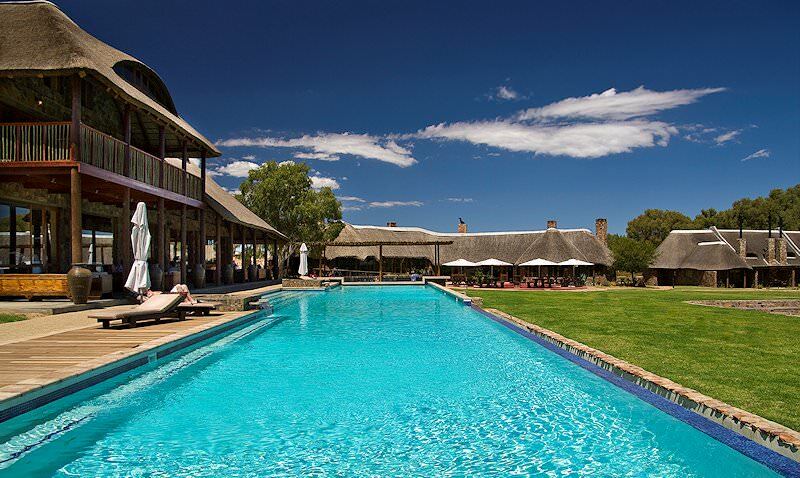 The lodge offers a wide variety of activities for visitors on safari in South Africa. Outdoor adventures include 4x4 game drives, guided bush walks, hiking trails, horseback safaris, quad bike safaris and abseiling. More relaxed pursuits include bird watching, fishing, clay pigeon shooting, golfing or just kicking back around the pool. The surrounding region offers some additional activities, such as an excursion to the beautiful Touws River or nearby town of Worcester. 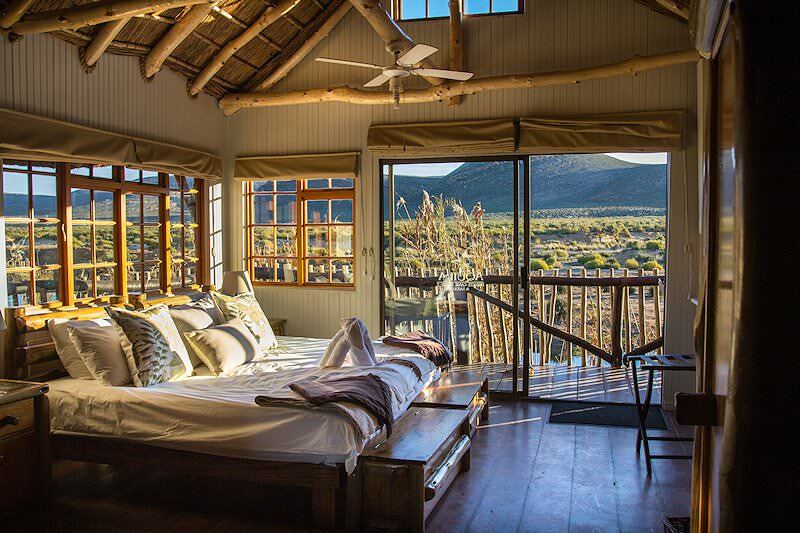 It must be said that, although Aquila offers safari experiences conveniently close to Cape Town, there is absolutely no comparison between the safaris at Aquila and and many other national parks and private reserves. 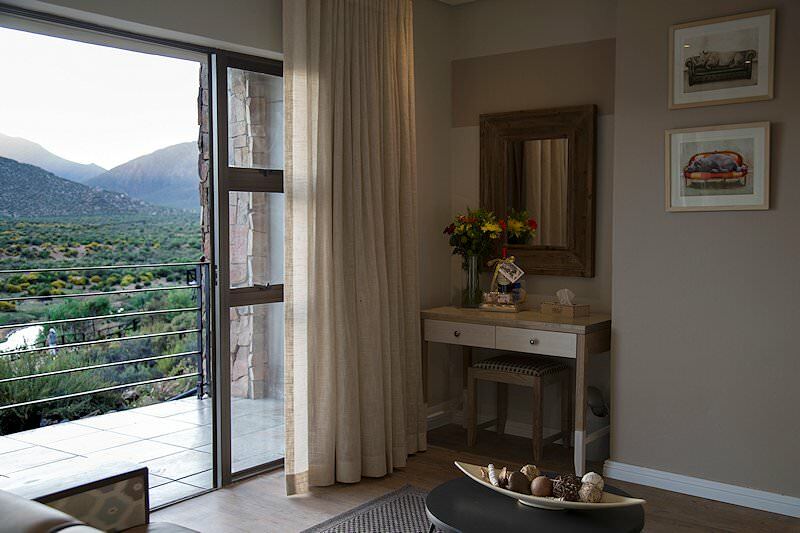 Aquila is ideal for a short visit to Cape Town, but I would advise traveling to Addo Elephant National Park or Shamwari for the closest real Big Five safaris. The Kruger Park or the private game reserves that form part of it are choice for the finest safaris in South Africa. South Africa offers fantastic value-for-money African safaris. Botswana safaris are sought-after for their unique activities, like mokoro rides. Namibia is an immense desert country with a harsh, dramatic coastline. Mozambique is a tropical paradise replete with fine beaches & pristine coral reefs. The Kruger National Park is one of Southern Africa's top safari destinations, boasting a wealth of mammals, birds and reptiles. A luxury African safari is one of the most rewarding luxury travel experiences available in the world today. The Big Five offer some of the most unforgettable safari encounters, from sighting the endangered black rhino to finally spotting the elusive leopard. The African lodges included in our safari packages have been carefully selected for their fine service and game viewing opportunities.